"The purpose of our loan programs goes right to the heart of several decades of sustained and successful effort at N.Y.U. : to transform N.Y.U. from a regional university into a world-class research residential university," John H. Beckman, the university spokesman, said in an e-mail. In some fields, he added, certain loans help retain faculty members who "can easily pursue a financially rewarding professional career instead of choosing the path of university scholarship and teaching." NYU does not appear to be passing along similar financial benefits to its student body. 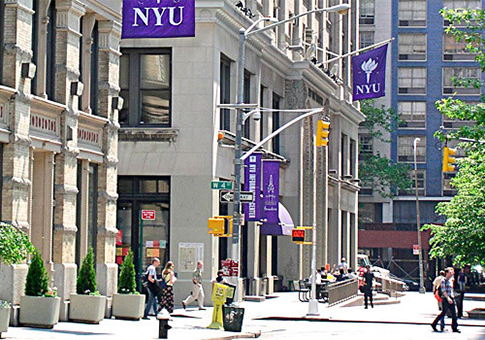 Forbes ranked NYU fifth on its list of the ten most expensive colleges in the United States in 2012. The annual tuition at NYU is $41,606 and the annual total cost is $58,858. The controversial loan program came under fire during Jack Lew’s confirmation hearing for Treasury Secretary earlier this year. Lew received a $1.4 million loan from NYU in addition to his salary of more than $800,000 as an executive at NYU. A portion of Lew’s loan was eventually forgiven. Sexton has received votes of no confidence from the faculties of five of NYU’s school this year. This lack of confidence does not appear to have affected his beach house. This entry was posted in National Security and tagged Jack Lew, Loan, Obama Economy, University. Bookmark the permalink.